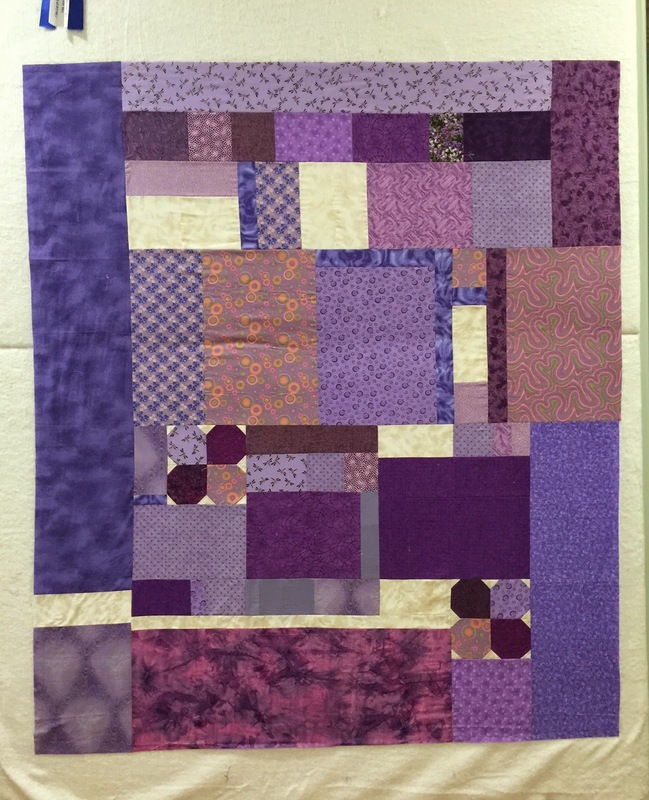 What excellent progress you have made on your purple quilt I applaud you!, and invite you to link up to WIPs Be Gone on my blog as our emphasis is on progress and in doing so depleting that stash also. I'm a new follower who found you in the GYB. So great! 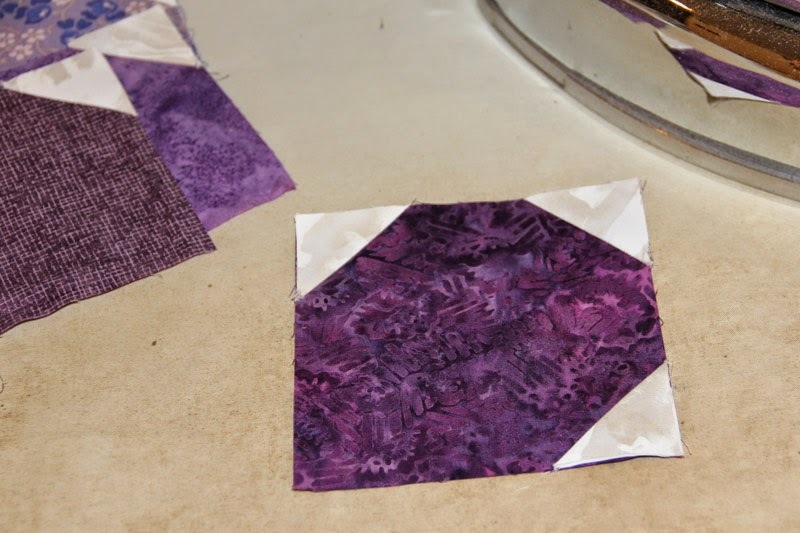 Love the scrappy purples and the green is a great pairing! 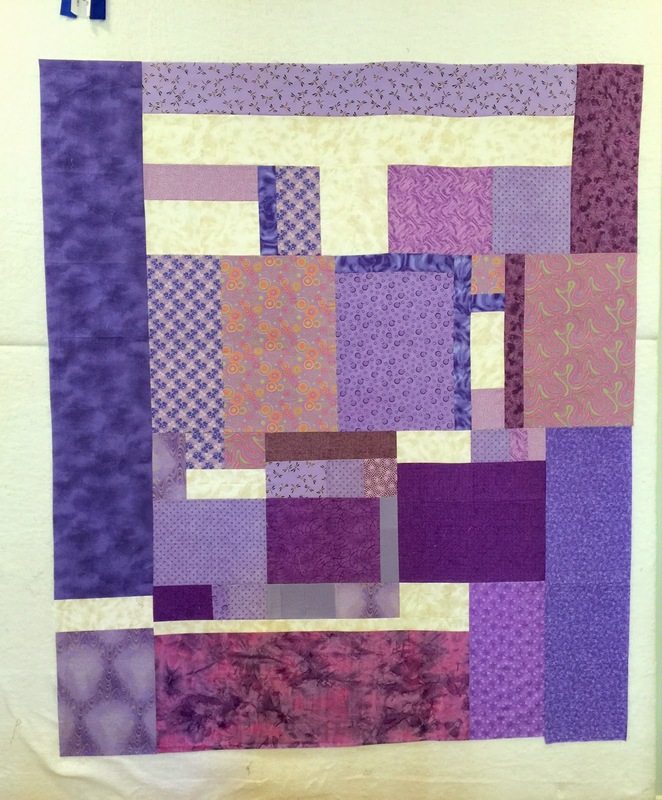 I love your quilt....purple is one of my favorite colors. You could use yellow yo yo's instead of the buttons if you wanted to just have fabric on the quilt. 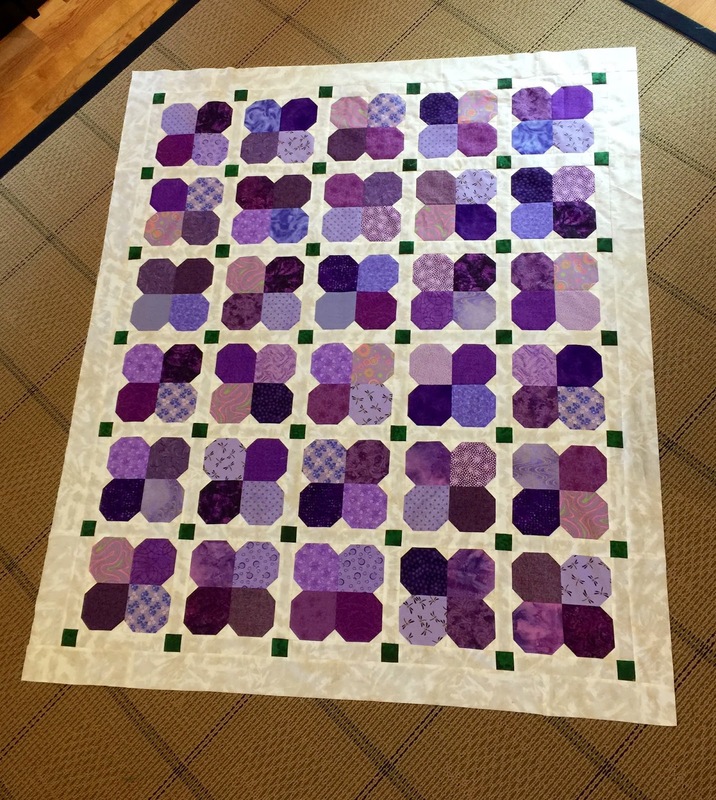 Lovely job on both the front and back of the quilt; thank you for showing it. These flowers are perfect; the emerald cornerstones bring the whole design to life. Ok...I have to say that I like the quilt better with the green because to me the yellow looked displaced like it should have been in the middle of the flower. As for the backing, I liked the first one, but once you changed it, I like the second one even better, too. What a great stash buster. Can't wait to see how you handle the yellow flower centers. Cute quilt. Oh....I like the idea of yellow yo-yos. Yep, yellow would be perfect in the flower centers! 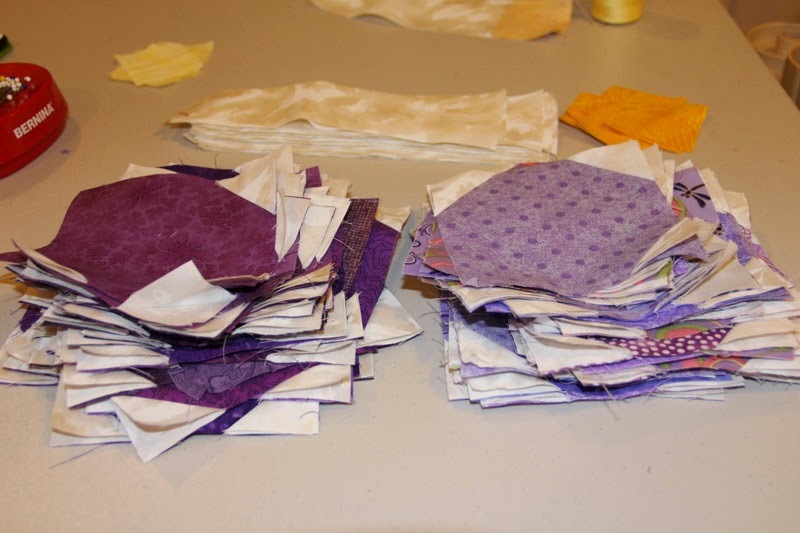 I think it might be interesting if the centers were all slightly different from one another - maybe different sizes, or a mix of buttons, yo-yo's, embroidery...just a thought. Whatever you do will be beautiful! Looks so pretty and what a good idea about the yellow yo yo's! I'm with you-- goal to use up stash! Great quilt and I had a brief look at your previous posts , lots of wonderful work . I am visiting via GYB and have become a follower . 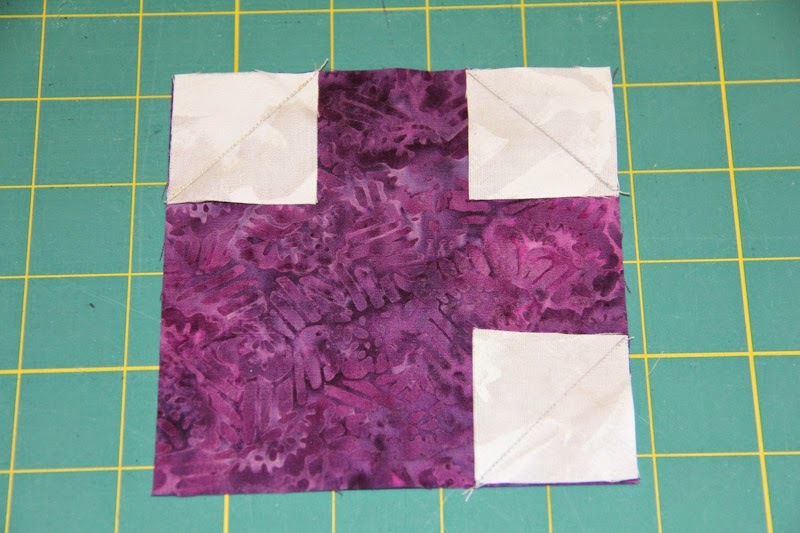 PS - make it in green and cream with a little stem into the sashing and you have a shamrock quilt. 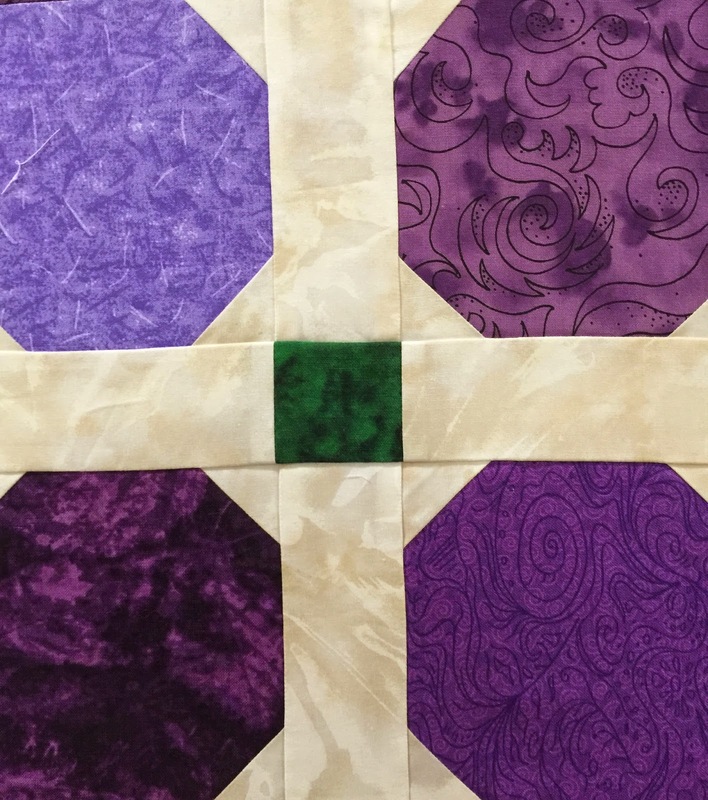 A versatile quilt pattern, Sandy! 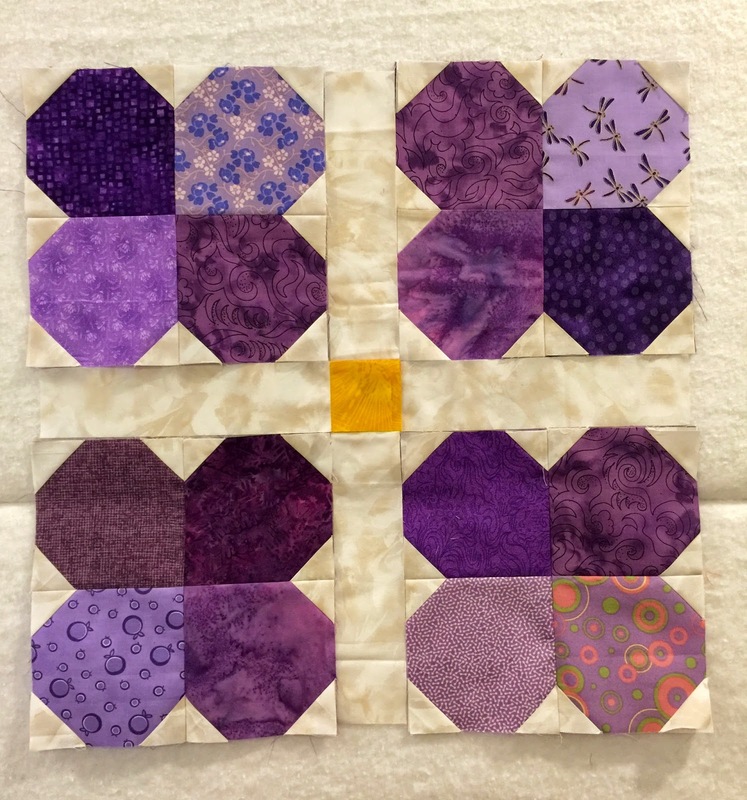 I love how the purple quilt turned out. The back is perfect with the added blocks. I can't wait to see what you decide to do on the centers. You are really rocking that stash! !